Get Ready For The Boosterthon Fun Run! 11 Apr Get Ready For The Boosterthon Fun Run! 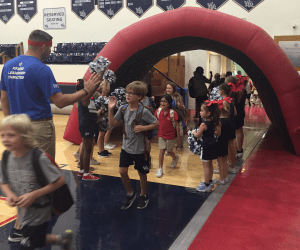 On Tuesday, our lower school students gathered in the gym for their very own pep‐rally. While the energy was high, it was only the beginning of many exciting days ahead for the lower school. Classes are having a blast preparing for the Westminster Academy Fun Run! Each day the students learn how to solve problems using character traits through Boosterthon’s theme—MindSpark Mystery Lab. While they’re teaming up with the MindSpark Kids to solve mysteries, the students learn five 21st‐century character traits that will help strengthen themselves and our world. Outside the classroom, students can get sponsors to pledge for their run next Thursday, April 18. 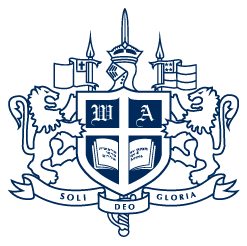 All pledges for the Westminster Academy Fun Run are entered on funrun.com. The students receive incentives, and classes work together to earn prizes too with their own Pledge‐O‐Meter. Parents can help too! Register your child at funrun.com. Use our school registration code: 947181. You can even create a “Student Star Video” to send to friends and family.